Avent Ferry entrance to Centennial Campus. Photo by Roger Winstead. 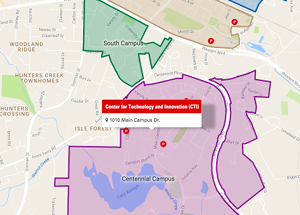 Due to an increased demand for testing services, we have experienced overcrowding during peak times at the Centennial Campus Test Center located in Venture IV, a privately owned building. To address complaints from property management, there is no longer study space available at this test center. Between mid-November and Dec. 18, DELTA Testing Services is expecting to proctor more than 11,000 exams, with around 75% of those being administered at the Centennial Campus Test Center. To better accommodate students within the test center during peak times, the furniture in the study space has been removed to make way for students waiting in line for their exams. In addition, several Online and Distance Education administrative staff members have been relocated from Venture IV to the Center for Technology and Innovation to free up more space and allow for improved traffic flow within the test center beginning in the spring 2019 semester. Encourage students to complete their studying elsewhere prior to arriving at the Test Center. 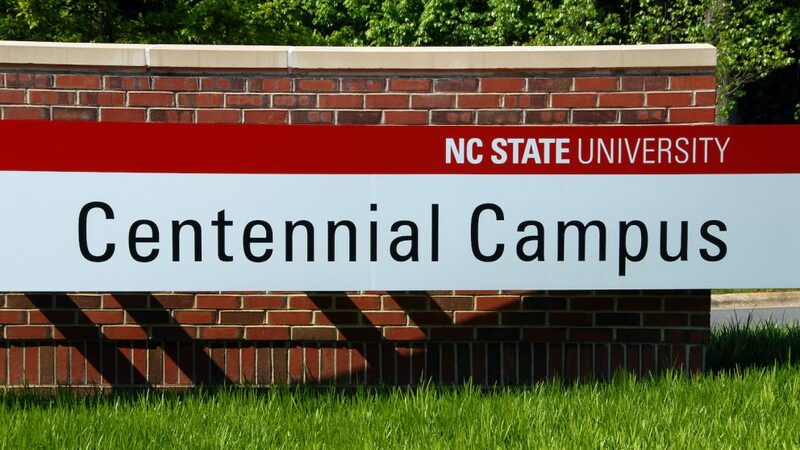 Visit go.ncsu.edu/studyspace for alternate study locations on Centennial Campus. Encourage students to come early in the test window and early in the day. Enable the DELTA Testing Moodle Block in your course for up-to-date information. Encourage students to use the WaitTime web application to view estimated wait times. Encourage students to sign up for Remind.com messages to have specific information related to DELTA Testing Services sent directly to your email or mobile phone. DELTA Testing Services remains committed to providing a professional and secure setting for students to take exams. “We realize a change during the semester is not ideal; however, we needed to act quickly to avoid a violation of our lease agreement. We are continually hopeful that space on Main Campus will become available for us to offer expanded testing services to students in the near future,” said Sharon Broere, senior associate director for Online and Distance Education Administrative Services. For more information, visit go.ncsu.edu/testatv4.